Passengers of Ryanair can now make calls, send texts and surf the web. This is a dream come true for many business flyers but i m not too sure about the other non-business passengers seating next to them. 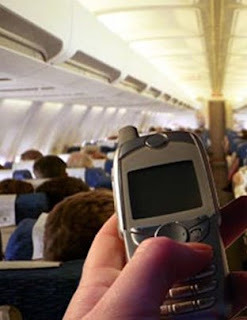 Well, budget airline Ryanair is now providing in-flight mobile coverage on its UK routes. The company is charging £1.50-£3 a minute for voice calls, £1-£2 for an 'average' email session and 40p to send a text (receiving SMS is free). The Irish company says the service will be usable by customers of over 50 other mobile phone operators across Europe on a roaming basis. The in-flight mobile bandwagon is certainly gathering air speed, in January British Airways revealed that passengers on its London City Airport to JFK route will be able to send text messages, emails and access the internet from their phones. The is definitely the trend and its just a matter of time when most airlines will have this service on board.